Joseph Chapman Deyarmon was born in 1795. He attended the Medical School of the University of Pennsylvania in 1814-1815. Deyarmon practiced medicine in Pennsylvania and eventually in Ohio. He died in 1851. 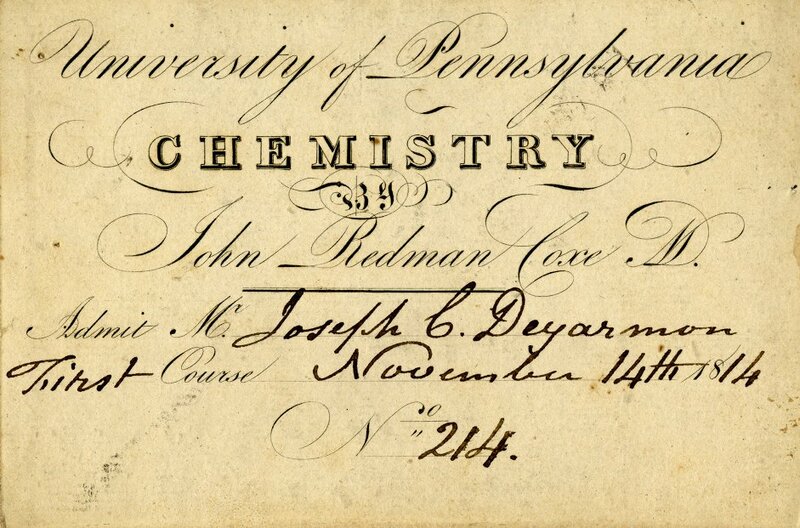 This small collection contains some family papers (correspondence, and financial papers) as well as Deyarmon’s admission tickets to the University of Pennsylvania and Pennsylvania Hospital. Some geneaolgical information on the family is also included.